Want to be married by a ship’s captain? Whether you and your significant other are sea-loving folks or are just looking for the perfect touch to your beach wedding, boat or land wedding. Captain C.W. Davis of Nautical Star Weddings will provide you with a wonderful authentic nautical wedding ceremony. He can officiate your wedding service whether it is on a beach, boat or in the privacy of your own home. Captain C.W. 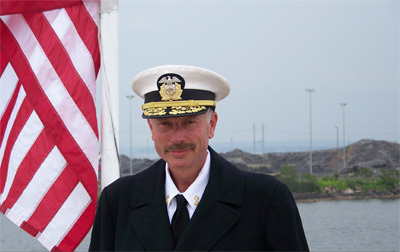 Davis is a licensed ship’s captain in the New York harbor and is a registered minister and officiant authorized to perform NJ, NY or PA weddings. Your guests will love the nautical feel of having an authentic ship’s captain perform a nautical wedding service. Nautical Star Weddings is based in Freehold, NJ and has been voted the best weddings officiants in NJ since 2010!